The 2016 Sudbury Game Design Challenge is an event being hosted in the NORCAT building and partially in the Fortin Discovery Lab. 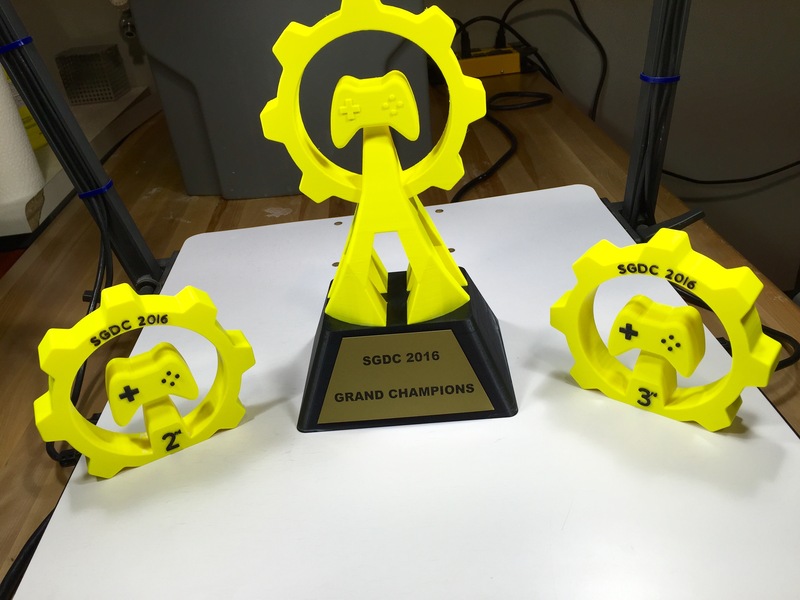 The event gained enough traction to want custom 3D printed trophies, and the Discovery Lab was happy to comply. 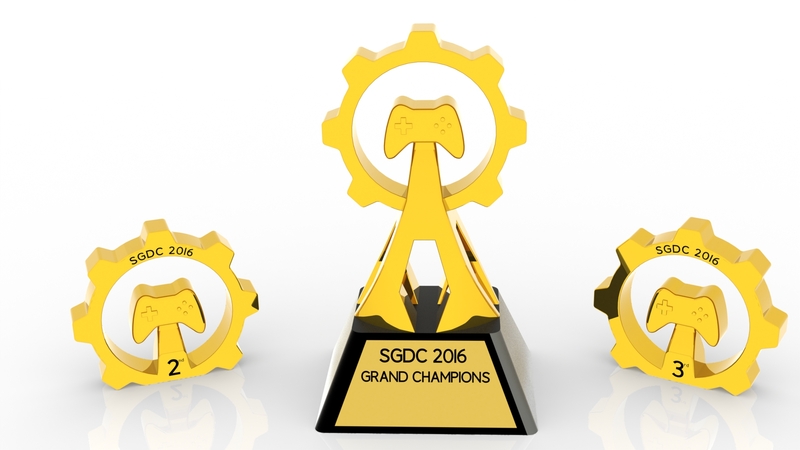 Beginning as 3D concepts and finally printed from our Fortus 250mc, these trophies stand as one-of-a-kind prizes for the skilled competitors of SGDC 2016.